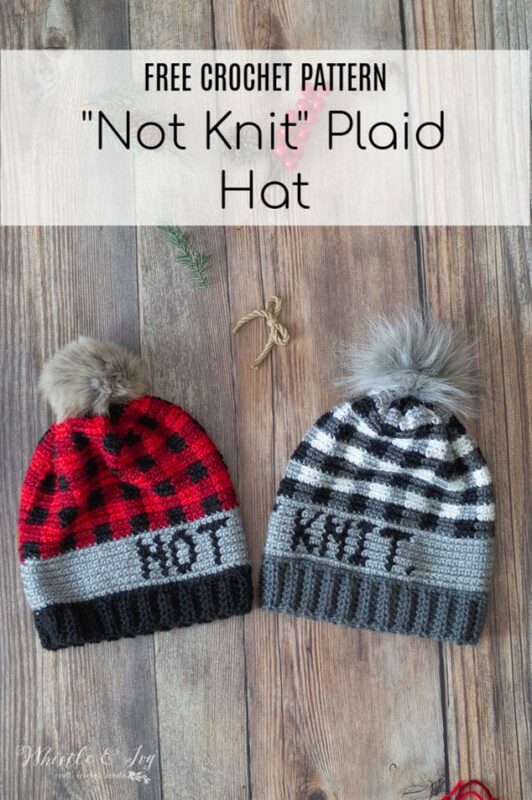 This cute and comfy crochet plaid hat has a bit of snark, as it reads “Not Knit”. 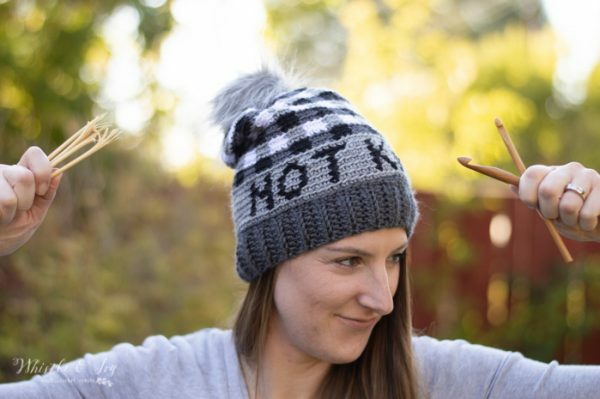 This not knit crochet hat is dedicated to anyone who has ever been working on a crochet project and been asked, “what are you knitting?” This post contains affiliate links, thank you for your support! During the summer I published a snarky bag, called the Not Knit Tote, and I was wondering how well it would be received. 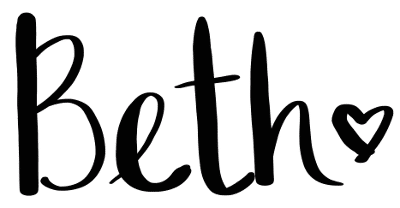 It featured the phrase “It’s not Knit.” Before I published the bag, I wondered if I was the only one constantly correcting people on what craft I was using, or what kind of designs I create on my blog. After I published the bag, I didn’t wonder anymore… I am NOT alone on this one. 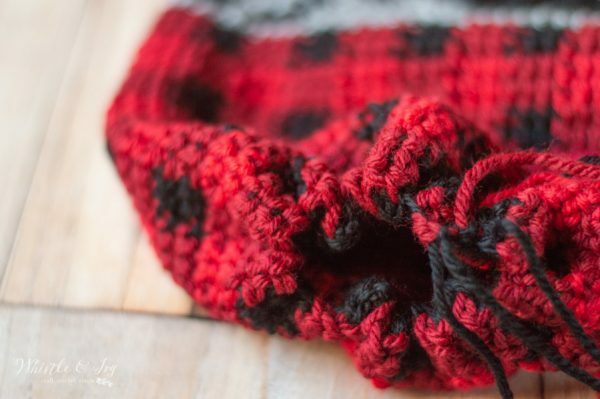 So as a follow-up to the bag, I decided to create this hat and add some plaid. 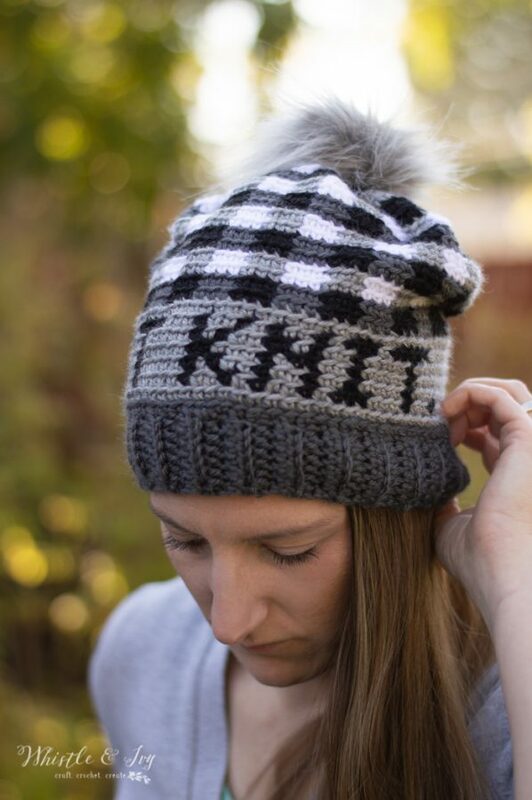 You can also find a FULL video tutorial for this hat in my Learn Plaid Course. Click below to learn more! Repeat row two until your band reaches about 18″ – 19″ for adult. You will get this measurement by gently stretching your band and measuring the length, not the pre-stretch length. You want the hat to be snug and due to differences in yarn stretchiness, I am not providing a row count. Instead, use your measuring tape. 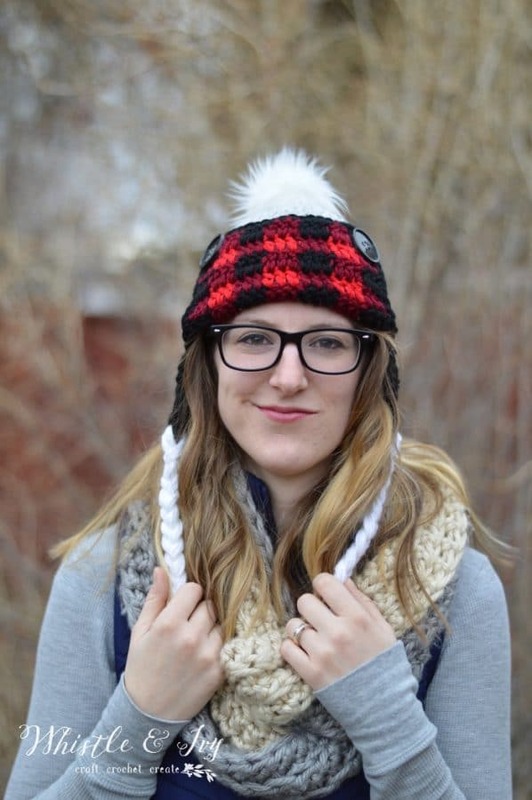 Note: You can make the hat band longer to make the hat larger ( or shorter to make it smaller). When you begin the hat body, make sure your first round is worked in multiples of 6 minus 1. Fold the long piece in half and sl st up the side, making a band. Turn so the seam is on the inside and your loop is at the top. 2. – 8. Work the graph. Choose a neutral for the background ( I used light heather gray) and a dark for the letters. 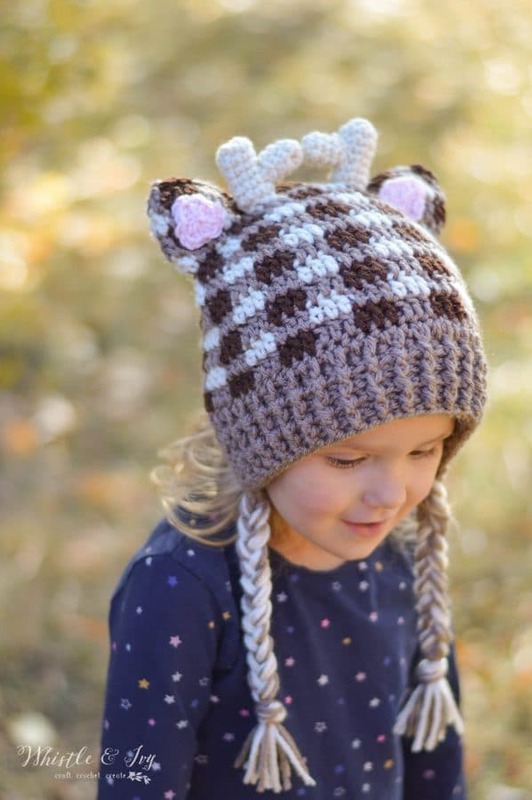 The graph should be in the middle of your design, so if you are working a smaller or larger hat than the adult size, be sure to add or minus the same amount of stitches on either side of the graph. You will work the graph is Back Loops Only so the design lines up and doesn’t slant to the side. Ch 1. Sc in same st. Sc in next st (counts as first block). Switch to Wine. Sc in next 3 sts. Continue the row alternating between Black and Wine for the rest of the row. Join with a sl st. Finish the last stitch with the color you will use first in the next row. 11. – 12. Join Wine. 13. – 28. Repeat rows 9- 12 respectively. 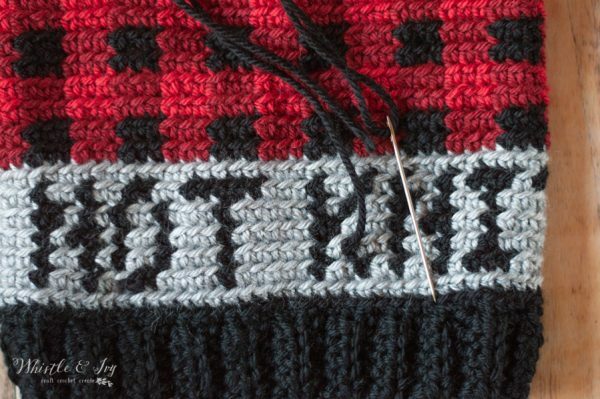 To make the letters easier to read, you can close the gaps of a few of the stitches, like the K, the N and the O(the diagonal stitches that don’t touch). Using the same color yarn, embroider small stitches to close the small gaps. Weave in ends. To close the top, turn the hat inside-out. Thread some yarn onto your darning needle and sew a loose running stitch around the top. Hold one end tight while pulling the other to cinch the hat shut. Tie a strong knot and weave in ends. 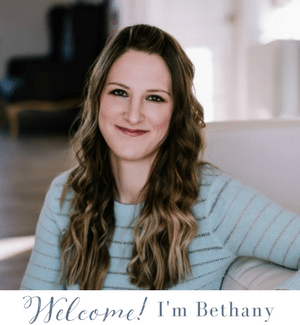 Did you miss Day one? 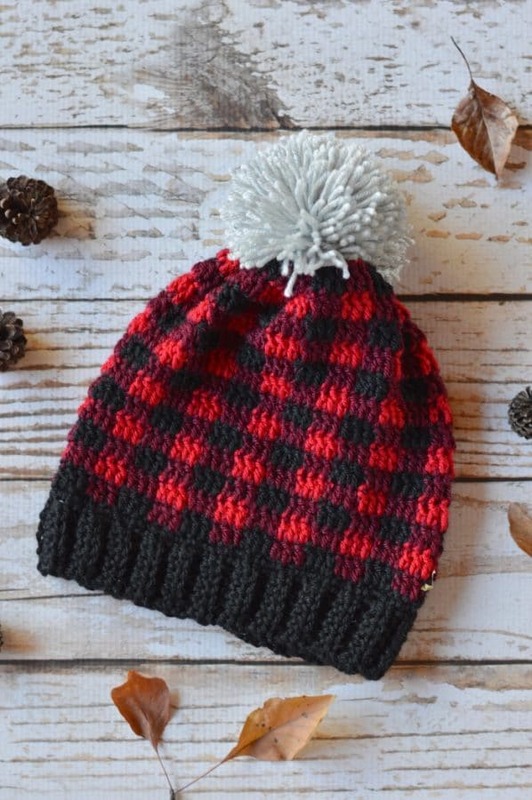 Deck your tree in buffalo plaid with these adorable ornament baubles! Share yours in Facebook Community! We need YOU! I am having trouble getting the hats to fit. They are too large. I am using Red Heart yarn. I have even tried to go down hook sizes and that doesn’t work either. 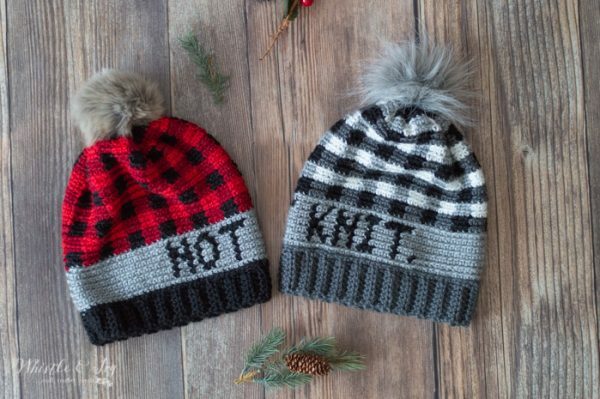 what brand name yarn did you use for your hats in the picture. I want to make the hats really bad but I am about to give up on them. Thank you for any help you can give me. 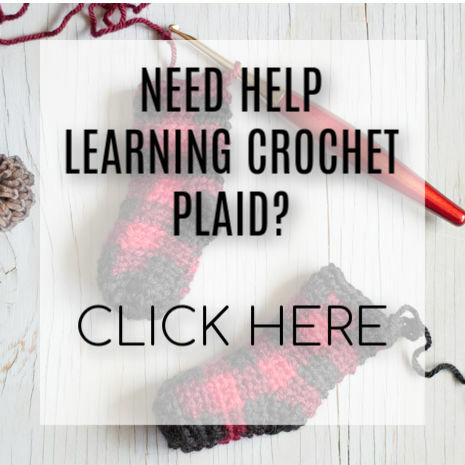 I crochet a little loose, could that be my problem also. Size is fixed by changing your hook. Did you work a gauge swatch? How many hook sizes did you go down? You might have to get a litter more aggressive and go down several more. 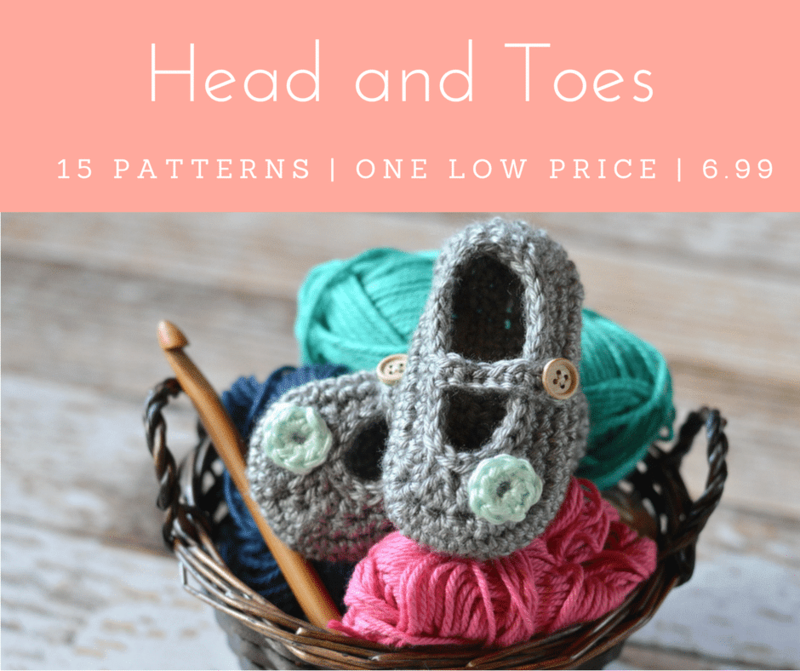 I crochet loose as well, so this is surprising! I used Red Heart Soft, the link is in the materials list. Love your hats. Thanks for the pattern.